It’s that time of the year again. Spring is in the air. Unless you live in Montreal, then March 21st is just a teaser. 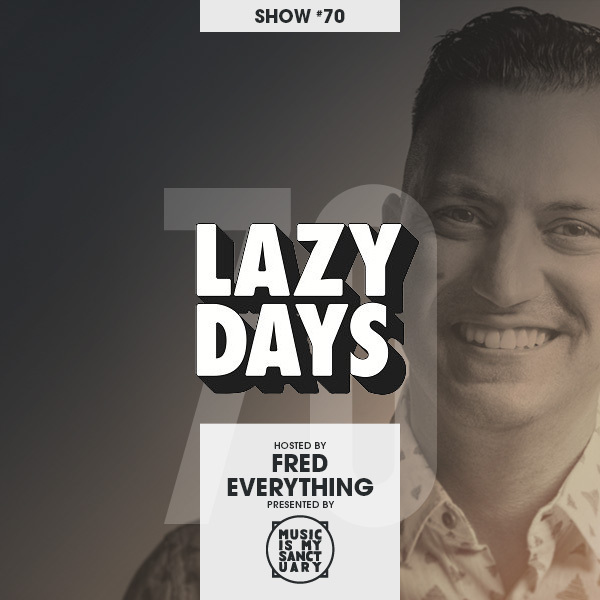 We trick ourselves musically, and that’s just what i did for this month’s episode of the Lazy Days Podcast #70. New music from Local Talk (Crackazat and Art Of Tones), new Crazy P vibes in the form of their remix of Sisi Ey on Glitterbox and Ron Basejam’s rework of Eli Escobar. New Aroop Roy on Delusions and some acid house flavours courtesy of Bawrut (Ransome Note) and Lauer’s Remix of the first single of my forthcoming album Wherever You Go. There’s also an ace new Jimpster and more music from Project Pablo, Soulphiction and the elusive Apparel Wax. Exclusive Premiere: Far Out Monster Disco Orchestra "Give It To Me"